Bulletin will continue to post storm reports on Facebook, but not as much on the BarringtonBulletin.com page because it’s all changing so quickly. IF ANY RESIDENTS IN THE AREA WANT TO UPDATE NEIGHBORS ON FLOODING, POWER OUTAGES, ETC, PLEASE FEEL FREE TO DO IT AT FACEBOOK.COM/BARRINGTONBULLETIN. 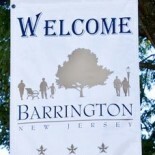 This entry was posted on October 28, 2012 by Barrington Bulletin in Region, Safety and tagged hurricane sandy, storm.